We’ve heard that it’s all about the customer, but when it comes to lead generation, specifically home value lead generation, how does that work? 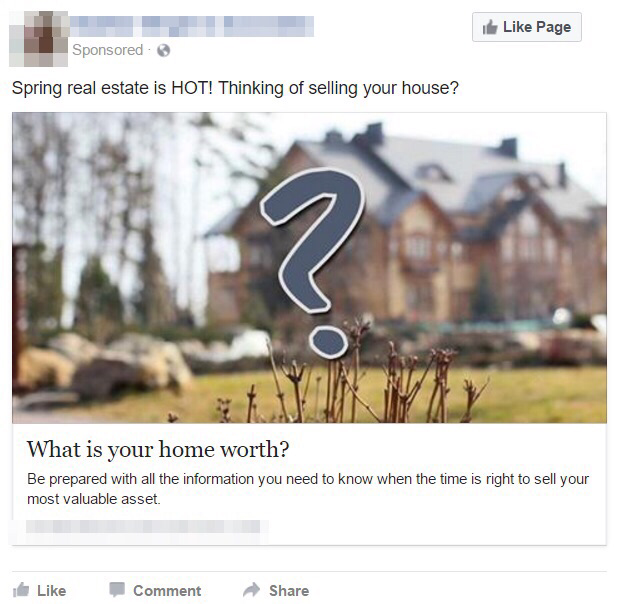 Let’s look at an example: Just take a moment to picture your typical, run-of-the-mill Home Value ad. 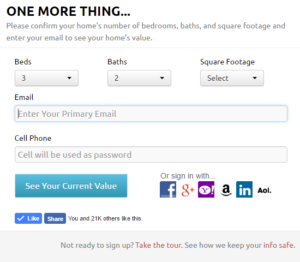 You’ve got your landing page or capture page, which takes in your lead’s home address, name, phone number and email address. This is a standard Kunversion sell page. Once the lead enters that information, they’re given an instant quote of their home’s value (exactly what they came to you for). After that, you might expect an email sequence to be sent out to that lead with the goal of trying to set an appointment, while still delivering useful and relevant content in the interim. All sounds pretty standard, right? Well, if you’re selling real estate, you probably already know this sequence is a bit… dated. And even after reading all about updating your marketing to meet the new me-economy standards, you still might not be sure of what you’re getting yourself into with this new “inbound thing”. But here’s the good news: what you’re doing now is not that far off. 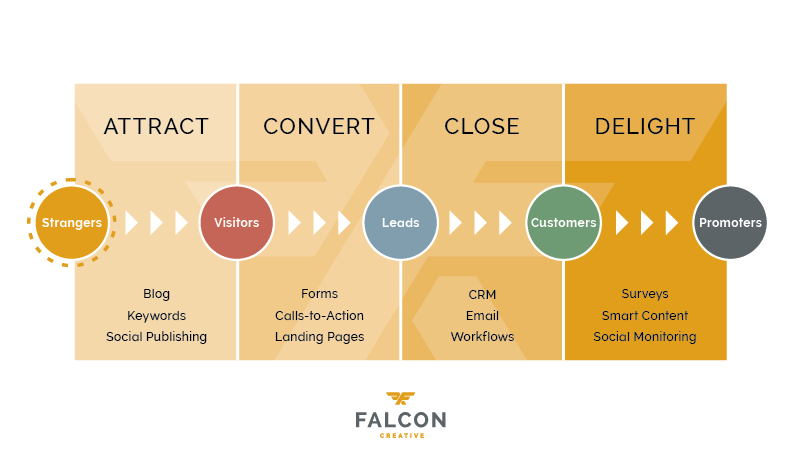 We know the 4 pillars of Inbound Marketing (or me-economy!) are: Attract, Convert, Close, and Delight. Thanks, Falcon Creative for letting us use this cool image. So, what does this look like for a typical home value ad? This is the best strategy to attract new leads directly to you. Because you’re giving your ideal customer what THEY want. You’re solving a problem. Or answering a question. It’s not about YOU. It’s about THEM. And, in the Me-Economy – it’s alllll about the customer. If you're looking for a little inspiration, we've brainstormed 25 ideas that you could build a guide on - and serve your clients by giving them what THEY want. Meet the Me-Economy standards!